The Indians' hopeful return to the Class 4A playoffs will begin in St. Helens. Scappoose and the Lions are scheduled for their seventh Seven-Mile War in as many years at 7:15 p.m. Friday. 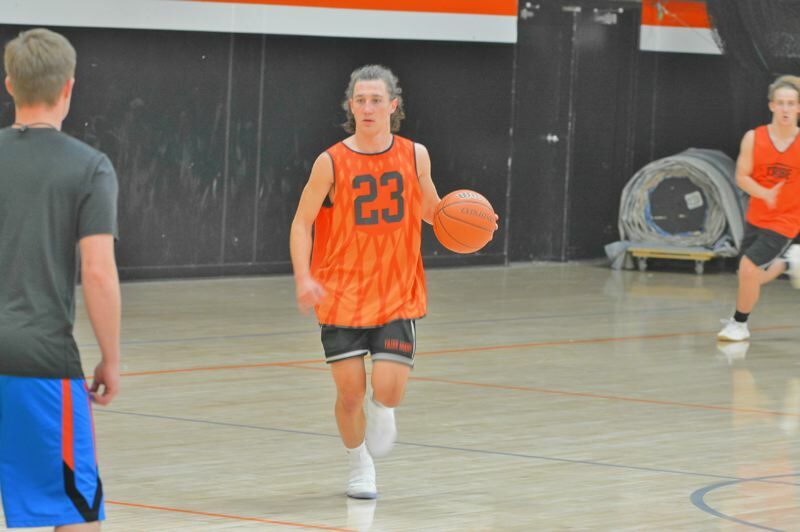 "I'm looking forward to the atmosphere and the school rivalry," said senior guard Joey Wagenknecht, a 6-foot all-Cowapa League guard. "It's great competition to start off the season." The Tribe has split the last six games with its Class 5A Northwest Oregon Conference rival-to-be, by a 58-55 average score in the Indians' favor. 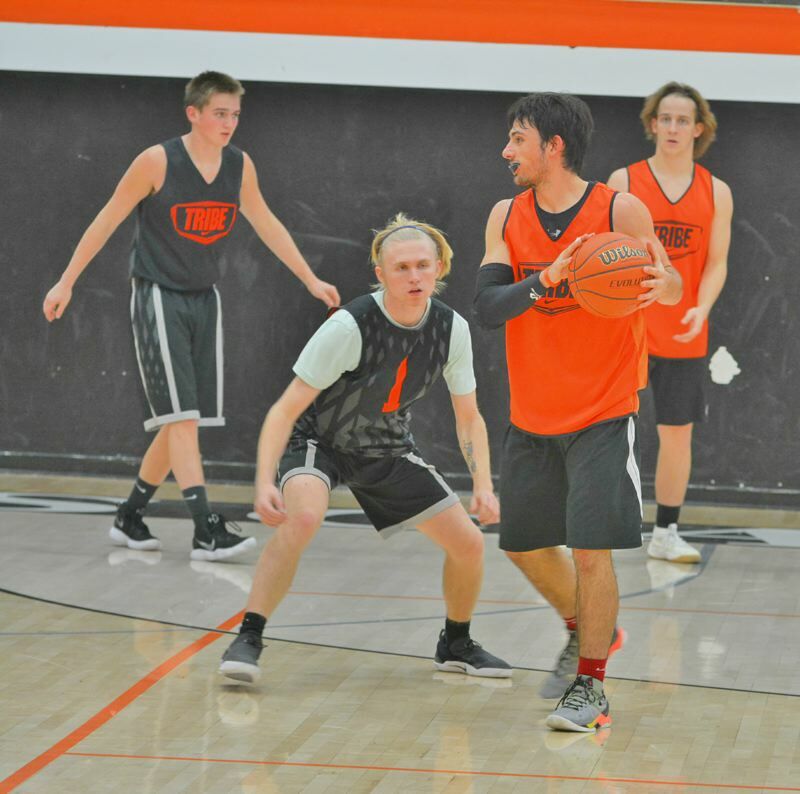 "Playing in their place is always tough, and we expect a very loud atmosphere," second-year Scappoose coach Weston Powers said. "It will be key for us to stay poised and handle the task at hand. They return [all-conference senior] Drake Dow, a very good guard who can score the ball with ease and set up teammates for good looks. Slowing him down will be our main priority defensively." Wagenknecht, 6-foot all-league forward Chris Bendle, guards Jerad Toman and JJ Turner and forwards Nate Maller, Bradley Verbout and William Cunningham are the Tribe's veterans. "I am looking forward to actually playing my real position this year instead of playing in the post, and playing with a great group of guys that we have for this year," Bendle said. "I also think we have a great chance to go deep into the playoffs with this great group of guys we have." Connor McNabb and Ian Johnson are junior guards, and Jake Boyle and Logan Travis (guards) and Tommy McKedy (a center) are sophomores. "[The Seven-Mile War is] a life-long rivalry, and there is no better way to start the season than against them," Johnson said. "We are very excited to get out there and try to start the season the right way with a win. We want to jump on them from the get-go and never look back." Foremost in the Indians' league schedule is Class 4A champion Seaside and Coach of the Year Bill Westerholm, whom they will visit Jan. 16 and host Feb. 2. The 2015 Class 4A champion Indians have played to an average of 14-11 overall and 6-4 in league play, and have reached at least the play-in round in 10 of the last 14 years. "We are really excited to start up the season and see what we are doing well and what areas we need to improve on going forward," Powers said. SEASON OUTLOOK: The Indians, with just as many all-leaguers as Seaside, have a chance to replace the twice-defending league champion Seagulls their second crown in four years. RETURNING ALL-LEAGUERS: Joey Wagenknecht, sr., G; Chris Bendle, sr., F.
Chris Bendle, sr., G; Jerad Toman, sr., G; JJ Turner, sr., G; Joey Wagenknecht, sr., G; Nate Maller, sr., F; Bradley Verbout, sr., F/C; William Cunningham, sr., F/C; Connor McNabb, jr., G/F; Ian Johnson jr., G/F; Jake Boyle, so., G; Logan Travis, so., G/F; Tommy McKedy, so., C.
Dec. 1 Scappoose at St. Helens, 7 p.m.
Dec. 5 Madras at Scappoose, 6:30 p.m.
Dec. 8 Scappoose at North Marion, 5:30 p.m.
Dec. 13 Corbett at Scappoose, 7 p.m.
Dec. 15 Scappoose at Estacada, 7 p.m.
Dec. 21 Seton Catholic at Scappoose, 7 p.m.
Jan. 2 Scappoose at Molalla, 7 p.m.
Jan. 5 Cascade at Scappoose, 7 p.m.
Jan. 9 Philomath at Scappoose, 7 p.m.
Jan. 12 Scappoose at Gladstone, 7 p.m.